Australia may not turn into an automotive wasteland of boring crossovers after all. When General Motors first announced it would cease production in Australia, we mourned the loss of that have ever been built. GM's replacement for Australian-built Holdens wasn't of much comfort. Instead of cool RWD muscle cars, Holden announced it would start selling of models like the Trax and Astra. Australia had just one small, shining beacon of hope that it would be able to drive cool cars once again: GM announced sales of a . Today, GM Holden and HSV have announced an agreement to bring several awesome models to Australia. Tim Jackson, HSV Managing Director, said in a statement that “This marks a whole new era for HSV and Holden and I hope our customers are as excited as we are. HSV is moving beyond simply ‘hotting up’ existing models, and customers will see two product streams from HSV over the next few years. This is ‘Game-On’ in a very big way.” HSV will work with GM to bring to iconic Chevrolets, like the Camaro and Silverado, to Australia. 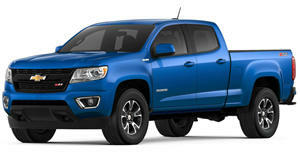 The brand will also launch its new HSV SportsCat, which is based on the Chevy Colorado. The SportsCat is powered by a 2.8-liter Duramax Turbo Diesel engine that produces 197 hp and 368 lb-ft of torque, mated to either a six-speed automatic or six-speed manual. This truck has also been given a distinct look and advanced off-road capabilities. The Camaro and Silverado will , and the latter will be offered with a few engine options. 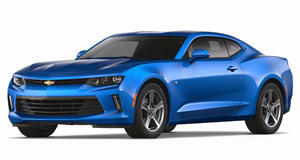 The Camaro will only be sold in the 2SS trim with the 6.2-liter 455 hp V8, which is good news. Unfortunately, an eight-speed automatic is the only option and Australia won't get the ZL1's amazing 10-speed automatic. For the Silverado, HSV will offer 4x4 Crew Cab variants of the 2500HD WT, 2500HD LTZ, 2500HD LTZ Midnight Edition, 2500HD LTZ Custom Sport Edition, and 3500HD LTZ. 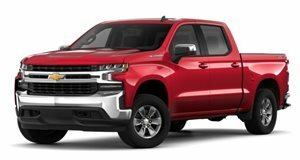 All Silverados will come with a 6.6-liter Duramax Turbo Diesel V8 producing 445 hp and 910 lb-ft of torque going out to a six-speed automatic. This is a fantastic piece of news for the Australian market, and we hope this partnership expands so we can see more cool models from HSV.